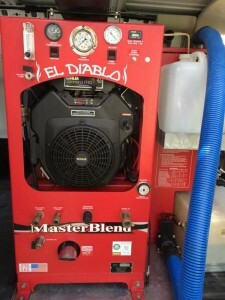 Introducing the El Diablo truck mounted carpet cleaning machine! As with any business, levels of service, knowledge, and equipment can vary greatly. At Pristine Tile & Carpet Cleaning we take great pride in making sure we deliver the best we can in all aspects of our business. That’s why we choose the Master Blend El Diablo truck mounted cleaning system. 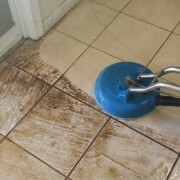 Tile and grout cleaning is a large portion of our business so we needed a cleaning system that could deliver the heat, vacuum and pressure needed to clean hard surfaces such as tile and concrete yet also adjustable to clean very delicate items such as upholstery and carpet. 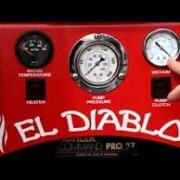 The El Diablo fits that bill. We did not just go out and buy any old equipment, we did countless hours of research on the internet forums and talked to many other owners and concluded that this is the right machine for us. Now after using it for just a few jobs I’m even more confident we made the right choice, the heat and suction it produces makes easy work of even the dirtiest carpets, and they dry remarkably fast. 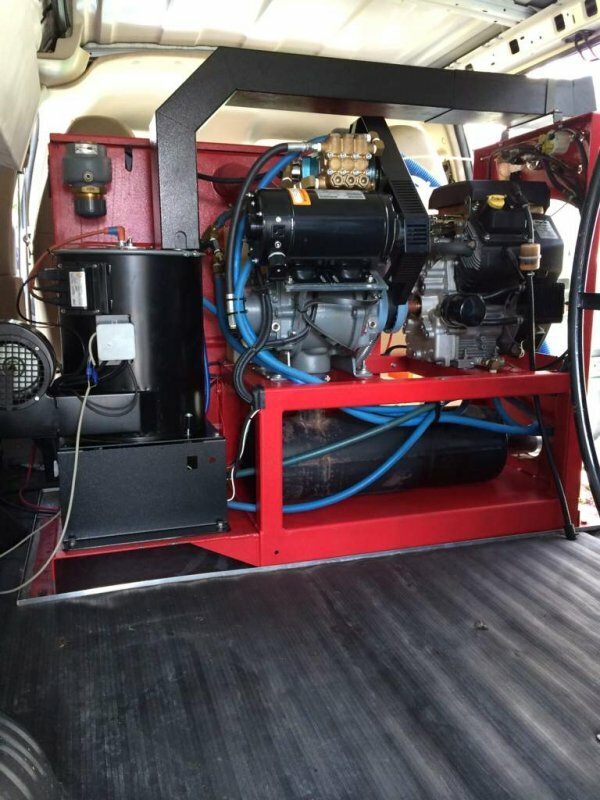 The El Diablo is equipped with a diesel fired burner that delivers just the right amount of heat we need on demand, without wasting any water or fuel. Heat exchanger truckmounts can’t control temperature like the diesel fired units can,. When it gets too hot the burner shuts off, if it needs more heat it comes on, simple as that. The Vacuum is powered by a Roots 45 blower, the best in the industry providing extreme vacuum even on very long hose runs. The cleaning solution is pumped by a 3000 psi 3cp Cat pump, again Master Blend used the best pump in the industry. 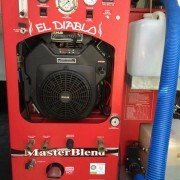 This El diablo machine is mounted in a Chevy Express 2500, and is complete with a 75 gallon waste tank as well as a 100 gallon fresh water tank. Having fresh water on board is new to us as our other truck does not have this. Having the van and water on board will make cleaning apartments and towne homes much easier as parking is tough and water is not easy to find. The downside to the van as compared to the trailer that we are used to is room, the trailer has plenty of space and we are able to stand up inside of it as well. Having a second cleaning rig on the road is definitely a step in the right direction, we always felt bad when we couldn’t be in two places at once. Having to tell long time customers or property managers that we could not get to them on their desired day was always downer. We can now get to most cleaning jobs in a day or two, or even the same day now that we have two very experienced carpet cleaners and two of the best cleaning machines in Fredericksburg Virginia. Power, heat, vacuum, pressure… this truck mount has it all! 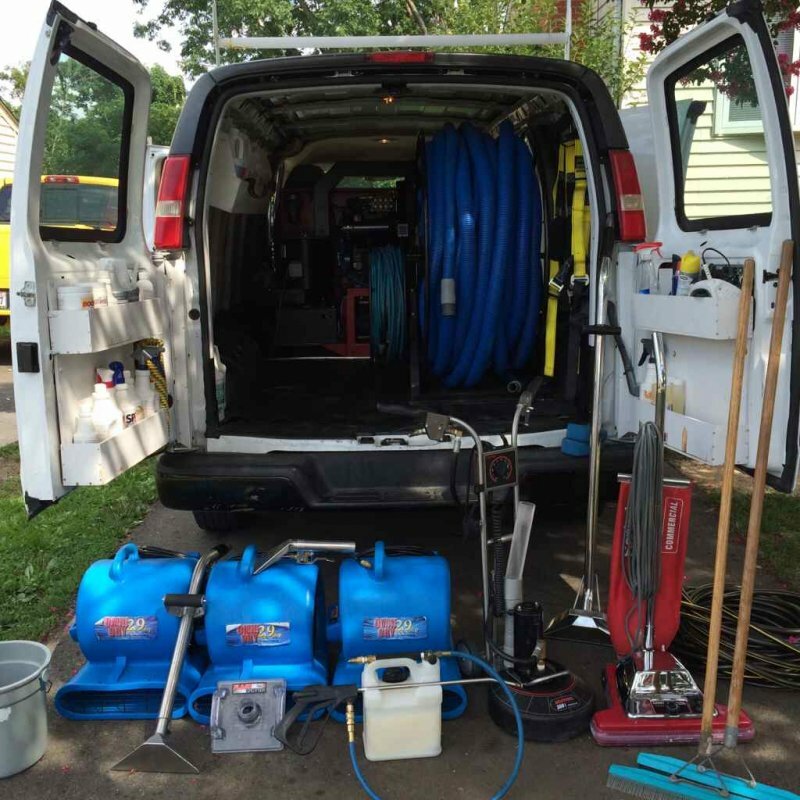 Chevy Express 2500, equiped with all the tanks and tools. This is probably the biggest reason to hire a professional rather than go at it yourself. 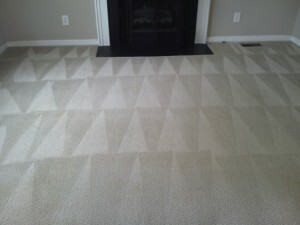 When you add up the cost of the carpet cleaning machine, the cost of the cleaning chemicals and the additional tools you may need to do stairs or upholstery you are not saving all that much and the rental or homeowner cleaners are no where near as powerful as professional carpet cleaning systems. There are many different types of carpet on the market, nylon, berber, wool and so on. 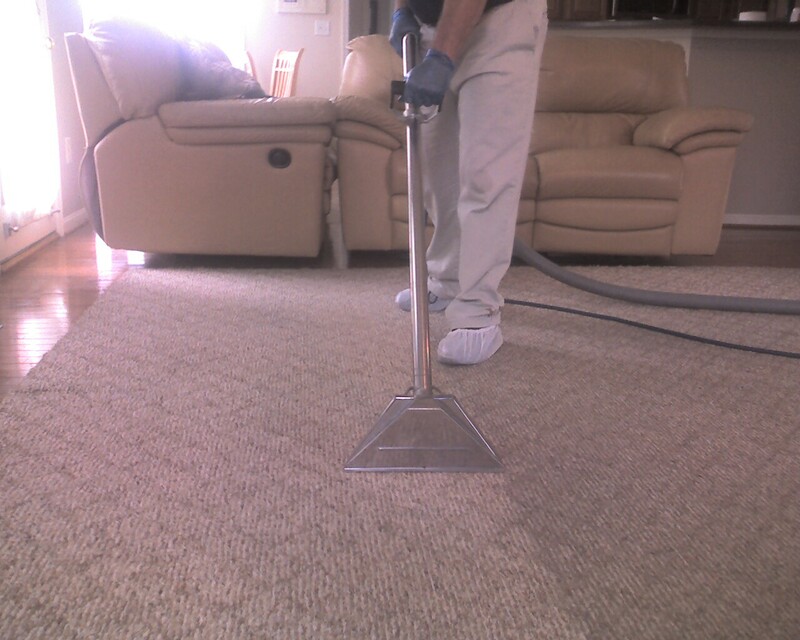 Professionals have the skills and knowledge to determine what type of carpet you have and what type of cleaning agents will work best without damaging the carpet. 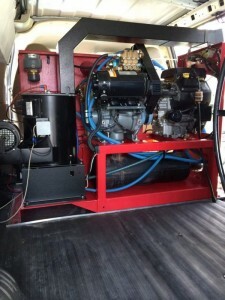 A true professional will be using powerful truck mounted equipment capable of producing extreme heat, the heat that is needed to kill germs, dust mites and other contaminates found deep in the carpet pile. There are many different types of stains, some can be very challenging such as urine, red dyes found in kool-aid. These types of specialty spotters are just not available to the public. Carpet cleaning is very strenuous work, just lugging the machine to and from the store is enough to cause back pain and the actual cleaning is even harder work. The portable equipment available for sale or rent is with out a doubt leaving dirt and soil behind. The vacuum motors in this type of equipment are no comparison to the what the pros use. Not only is dirt being left behind but usually too much water and cleaning agents are left behind as well. Over wetting can cause mold, mildew and odors. Leaving chemicals behind will cause faster re soiling from sticky residue. 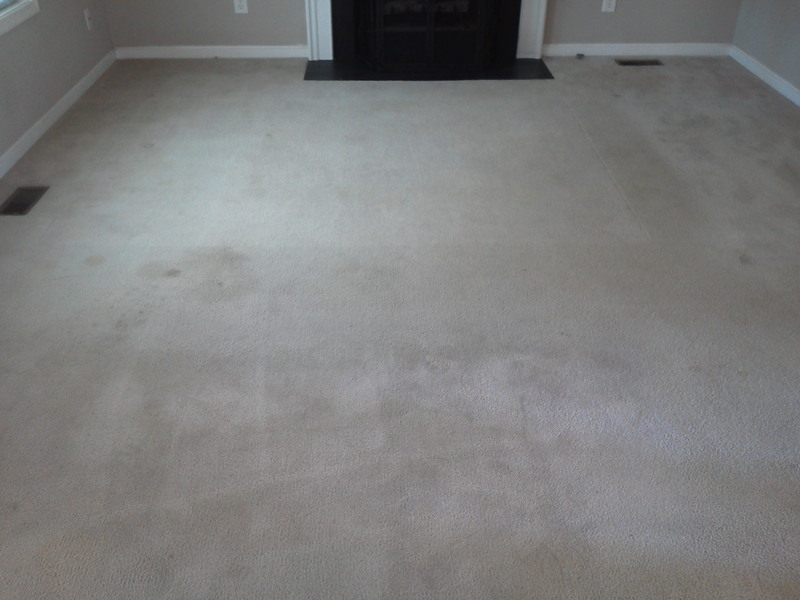 Most leases state that the carpets must be cleaned by a professional carpet cleaner, and they will ask for a receipt to prove it. 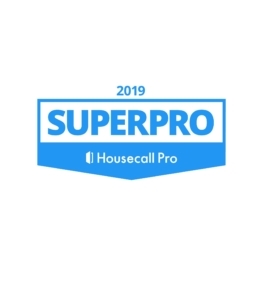 They know that a professional job is far superior to the do it your self jobs. https://pristinepete.com/wp-content/uploads/2012/09/no-rug-doctor.jpg 225 225 Peter Diehl https://pristinepete.com/wp-content/uploads/2015/10/Pristine_Logo_Original-300x90.jpg Peter Diehl2012-09-08 00:19:112014-12-16 22:02:36Why hire a professional carpet cleaner? 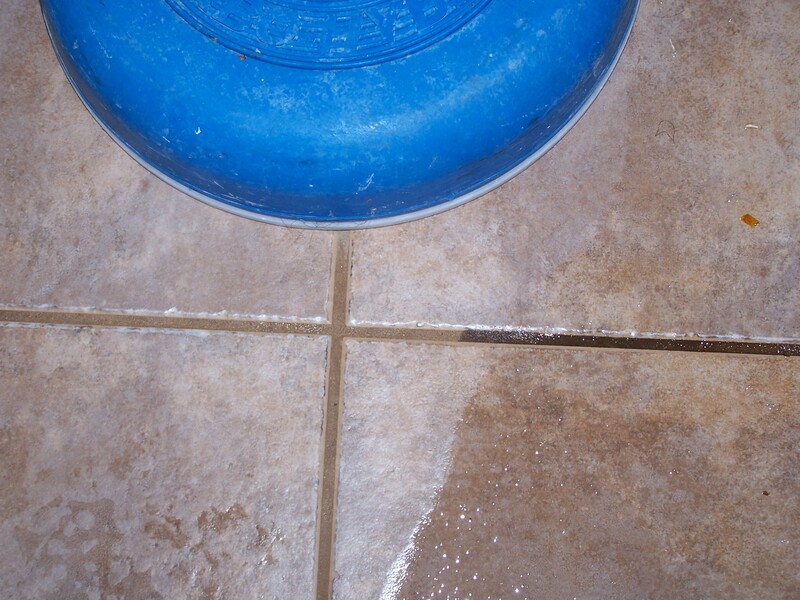 Do you think your tile is clean? https://pristinepete.com/wp-content/uploads/2011/12/Fredericksburg-Townhouse-2.jpg 2322 4128 Peter Diehl https://pristinepete.com/wp-content/uploads/2015/10/Pristine_Logo_Original-300x90.jpg Peter Diehl2012-01-15 00:28:452014-09-08 02:02:07Do you think your tile is clean? Cleaning the dryer vents, why must we do this? Dryer vent cleaning is probably the most important thing that needs to be done around the house every year or so, depending on use. It may be a good idea to mark your calendar with this task, along with other periodical tasks such as changing furnace filters or water filters. The most obvious reason is to prevent fires. 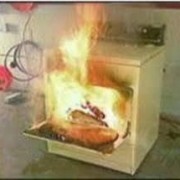 Dryers with excessive lint buildup are one of the most common causes of house fires. 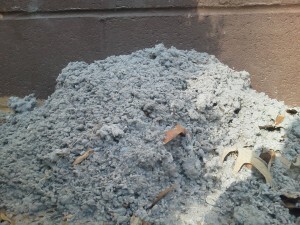 When the dryer vent gets clogged it puts more strain on the dryer causing it to run hotter making it more likely for that fine lint to catch on fire. If you notice that your laundry is taking longer to dry than it used to, that is an indication that air flow is being compromised, drying time can be reduced by a staggering amount of time. How do I know this? When my wife told me we needed a new dryer because the jeans were taking 2 cycles (140 minutes to dry) I knew it was time for a cleaning, to protect my wallet… I have been accused of being a tight wad more than once. After I thoroughly cleaned the vent and the dryer, the next load of jeans took less than 40 minutes to dry, that is a difference of 100 minutes or 250% faster. The second complaint my wife had for today, was that our house was very dusty despite the fact that she dusts regularly( I get this all the time from my customers). Well… she was right! (and usually is). After close inspection I did find that the dryer connection was leaking, I am betting the strain from the reduced airflow might have caused this. After securing the vent and taping all seams with duct tape, we have noticed much less dust, leading to less sneezing and allergy attacks. 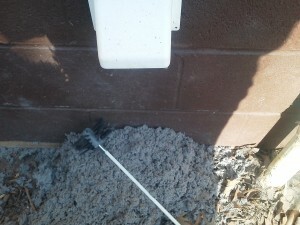 Dryer vent cleaning can be a little tricky, but can be done ambitious home owners. They do sell dryer vent cleaning kits in the home centers that can be used with a cordless drill, a shop-vac with a good filter should also be on hand. Wearing a face mask or respirator for this project is a must as very fine particles will be circulating around your face. It is important to pull the dryer out and clean from both sides making certain it is clear all the way through. All connections must be re-secured well. Dryer vent cleaning is also done by some carpet and tile cleaning companies, duct cleaning companies or handymen. A good time to have this done is while your carpets or floors are being cleaned, it can be less expensive, if a special trip is not needed for small jobs like this. 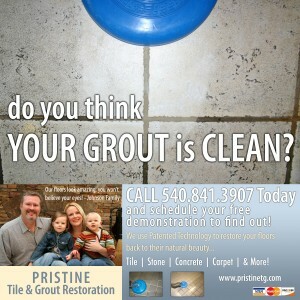 Pristine Tile & Grout Restoration in Fredericksburg Va. 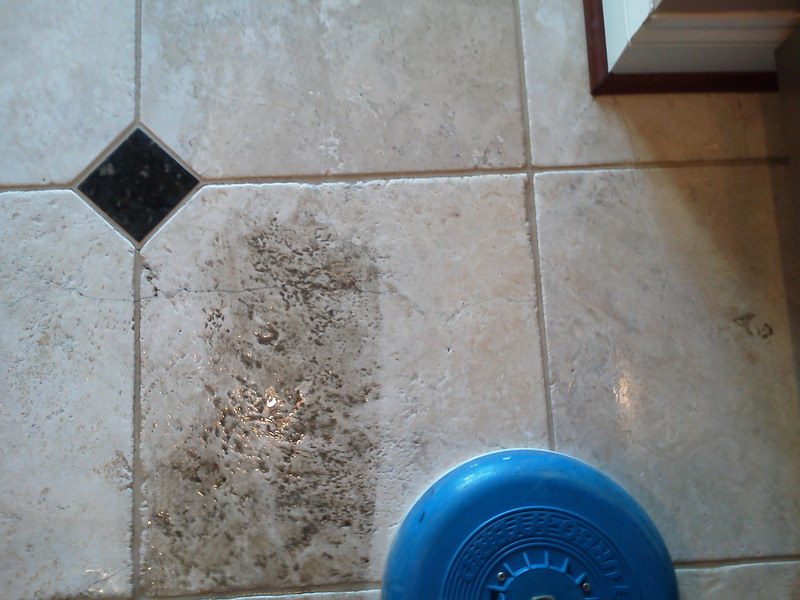 He is a master carpet cleaner as well as the leading expert in tile care in the greater Fredericksburg area. You can find out more at Prisitinepete.com or follow Pete on facebook. 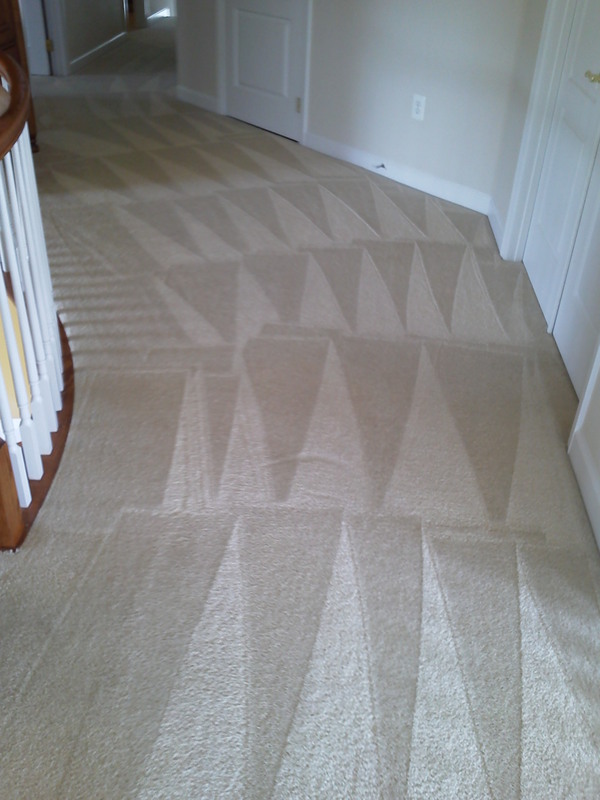 These are some shots of carpet cleaning jobs in and around the Fredericksburg Virginia area. 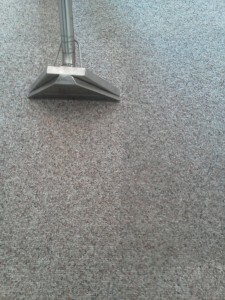 There are many factors that determine the quality of the carpet cleaning job, such as the machine being used, the cleaning agents, and the experience level of the person doing the cleaning. When choosing a carpet cleaner one must consider what they are getting for their money, choosing the lowest priced cleaner is surely going to lead to disappointment. We all know how much it costs for gas, cleaning agents, insurance, labor ect… companies advertising ridiculously low prices are either cutting corners or using unethical bait and switch tactics don’t fall victim! Consider this, most of us wear our clothing once and then place it into the laundry for washing, we wash our bedding frequently, yet our carpets and upholstery go unwashed for as much as 1 to 3 years or more. Can you imagine wearing the same pair of socks for a week? Or sleeping on the same bedding for a year? Let alone 2 to 5 years? Your carpets and upholstery are subjected to far more pollutants on a daily basis, yet most of us do not clean the carpet regularly, or sometimes not at all!! Also think about the deposits left behind by pets!!! Sometimes we lose the pet battle from time to time. Not only does it smell and make spots and stains, the odor associated with pets and accidents is actually decaying bacteria off-gassing ammonia gas as it decays. With “sick” carpets or floors, the only prescription is a super good cleaning and our sanitizing product that digests and destroys odor, not covering it up like Glade. Odor & bacteria must be extracted and eliminated!!! My carpet doesn’t have a filter, does it? well, not really , but it does function like one. Our carpets mechanical design as a filtering device is very beneficial. It keeps the indoor air cleaner! Have you ever thought about what is really being collected, tracked through and spilled into your carpet? The most common household pollutants are; dirt, dust, pollen, proteins, hair, pet dander, asphalt,sand, smoke residues, hydrocarbons,dead skin,live and dead dust mites & fleas that feed on dead skin cells, tar, bacteria, food soil,drinks,fungus, and sometimes even viruses not to mention body soils and fluids. 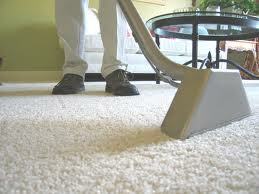 Many of those common, everyday pollutants are in your carpets and upholstery this very minute. Not a pleasant thought, is it?ou might say…not my carpets, they look clean! Perhaps, but carpets are designed to hide soil from your eyes, keeping it trapped below the surface, where it does most harm by cutting and scratching the fibers. Not Sure? 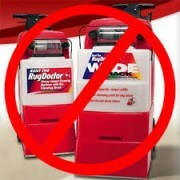 Place a new bag inside your vacuum cleaner, thoroughly vacuum all of your carpets. When done remove the bag and cut it open and take a look what was inside your visually clean carpet!!! Now, all of your soils and allergens are in your carpet, and more is being brought in everyday, eventually the carpet will become full. As soil loads increase it may trigger histamine production in the body and elevate allergy symptoms like dry cough, itchy skin or even rash, sneezing and runny nose or throat irritation and sometimes sleeplessness. As you walk across your full carpet you re-distribute the dust and pollutants back into the air that you and your family breathe. 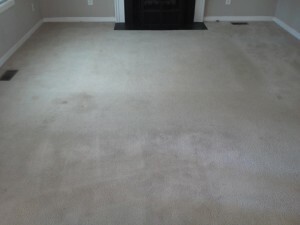 As a result of being full, your carpets will also begin to appear visibly dirty. 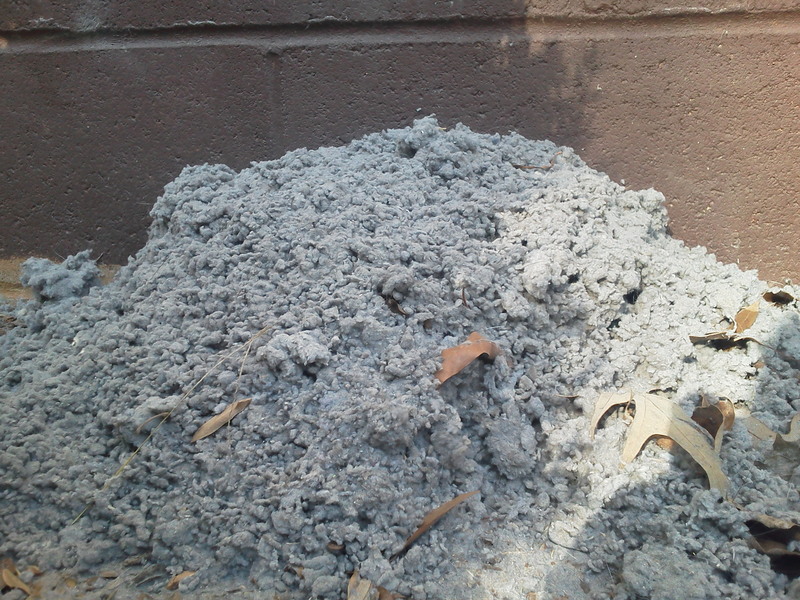 This visual soil may take upwards of 1 to 2 years before it finally shows itself, but by then you may have done considerable damage to your carpet, and surely have contributed greatly to having poor indoor air quality (IAQ). For starters you really should clean your carpets more often. Shaw Industries, the world’s largest carpet manufacturer , recommends that you have your carpet professionally extracted every 6 to 12 months, just to maintain the warranty. Comprehensive scientific studies have proven that by simply cleaning your carpets, you will drastically improve the indoor air quality of your home, making it a healthier place to be for you and your familiy! View your carpets for what they are, a soft, warm, cozy, comfortable pollution filter that requires regular maintenance and cleaning, In addition to frequent vacuuming and spot cleaning, carpets should be professionally cleaned at least every 12 months! There are actually 4 components working together in harmony that allow us to achieve these superior cleaning results. Emulsifier – We use a non toxic, environment friendly spray that is applied to the tile & grout floor to quickly loosen up the soil. High Pressure – Our advanced patented equipment produces water pressure that can be adjusted between 200 and 1500 psi to penetrate even the toughest areas! Heat – Our powerful truck mounted steam cleaner is capable of maintaining temperatures over 230 degrees throughout the cleaning process. 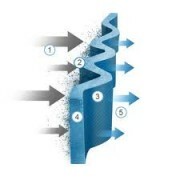 Vacuum – Our Vacuum process surgically lifts the soil and dirty water off your floor. There is no way around it, you have carpet, it needs to be cleaned from time to time. There are many companies out there that offer these services, some are good and some are not. Carpet cleaning prices can vary greatly from one company to the next depending on their structure, equipment and level of cleaning. 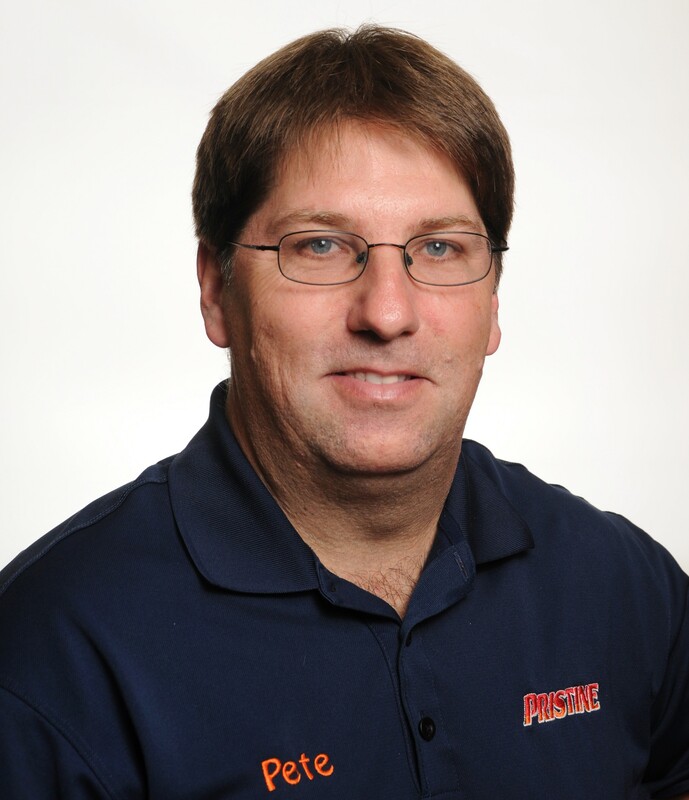 Pristine is a small, owner operated company that prides it’s self on great carpet cleaning at a great price. Some of the larger companies can have high employee turnover, so you really don’t know if you’re getting an experienced tech, or the guy that started yesterday. When you choose us, you can be confident that the same master cleaner will be on every job. Not only will you get the best cleaning ever, but it won’t break the bank. Large companies have multiple trucks, lots of employees, big shops, and an advertising budget the size of the national debt! Why should you have to pay for all that when you don’t need to. 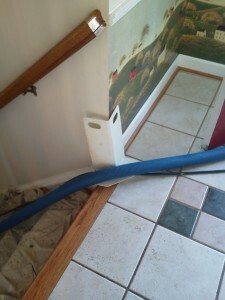 Here are some photos of some recent work we did in Stafford Va. This was a great week at Pristine! Even after years of cleaning with our powerful truck mounted equipment I am still amazed myself at the results we achieve. Thanks to today’s technology I am able to snap some quick photos with my smart phone and share them with the world. 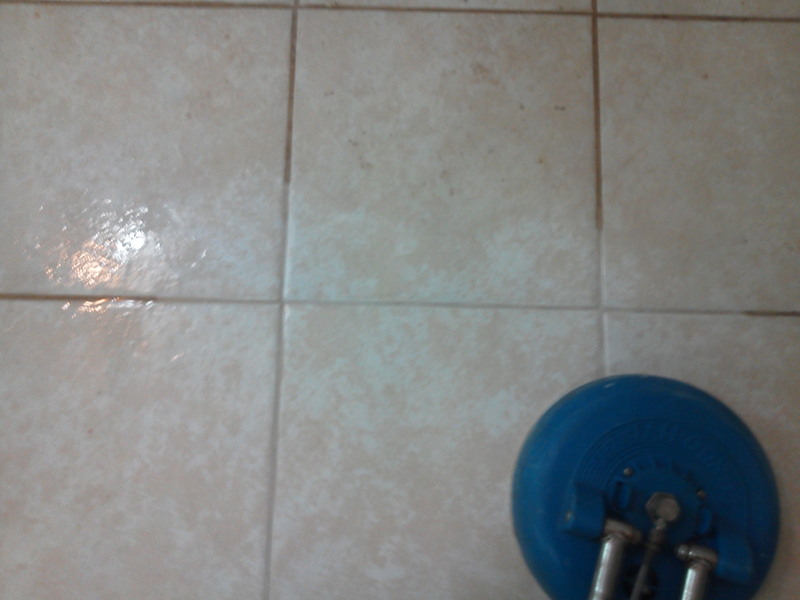 In this particular post I am sharing photos from a concrete cleaning job, a tile & grout cleaning job, and a carpet cleaning job. This photo is of a concrete driveway at a residence out in King George, Virginia. The owner stated that he has never had it cleaned in the 14 years he’s been there. 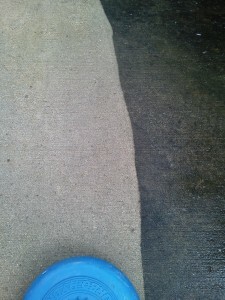 Our concrete cleaning system is far superior to ordinary power-washing in many ways. It is a contained cleaning system with powerful vacuum, so there is no over spray or run off. This was especially important on this job because the homeowner had the driveway surrounded with some very nice plantings. 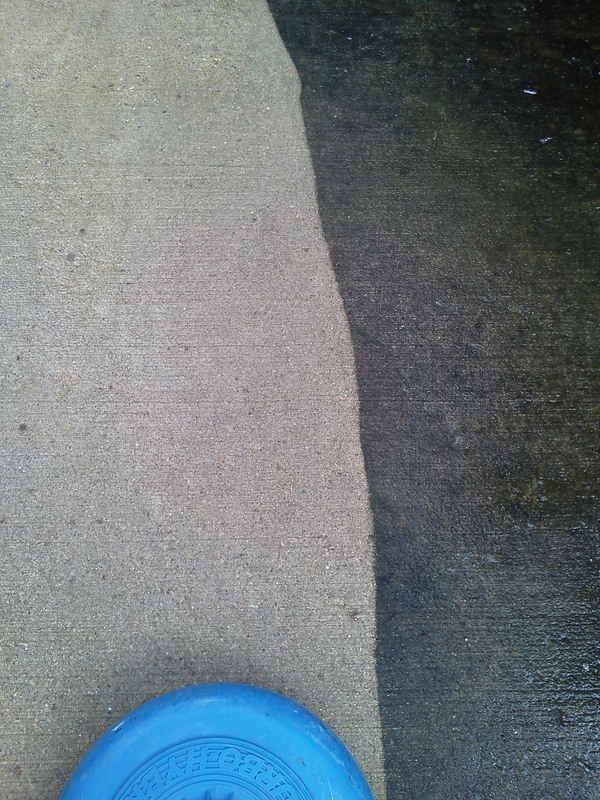 If you’ve ever power washed, you know what happens when you hit that flowerbed with the wand, dirt everywhere! Using powerful truck mounts also enables us to clean at temperatures well over 200 degrees, everyone knows heat is critical for achieving outstanding cleaning results. You can view great concrete cleaning video on our website. This second picture is actually from the same home in King George, Virginia. 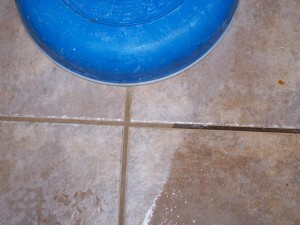 It is obvious from the photo that the grout had turned completely black over the years. 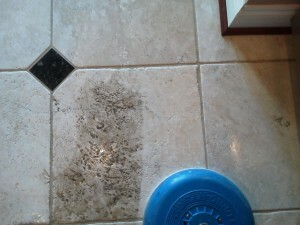 It is extremely difficult for a home owner to achieve these results from scrubbing alone. There are 4 components that work in harmony that give us this type of clean. They are heat, vacuum, pressure, and emulsifiers. 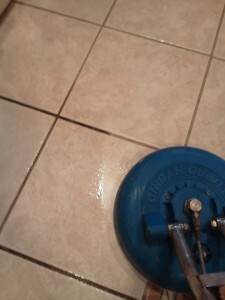 After this floor was cleaned we applied a sealer to the grout. In this case only the grout will benefit from a sealer, ceramic and porcelain tiles are non-porous and will not accept sealers. Sealing the grout protects it from permanent staining as well as makes it a little easier to clean. 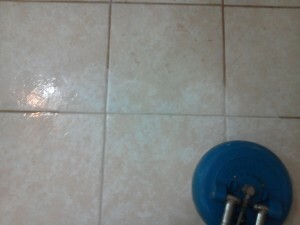 Our tile & grout cleaning footage on our site is quite Impressive. 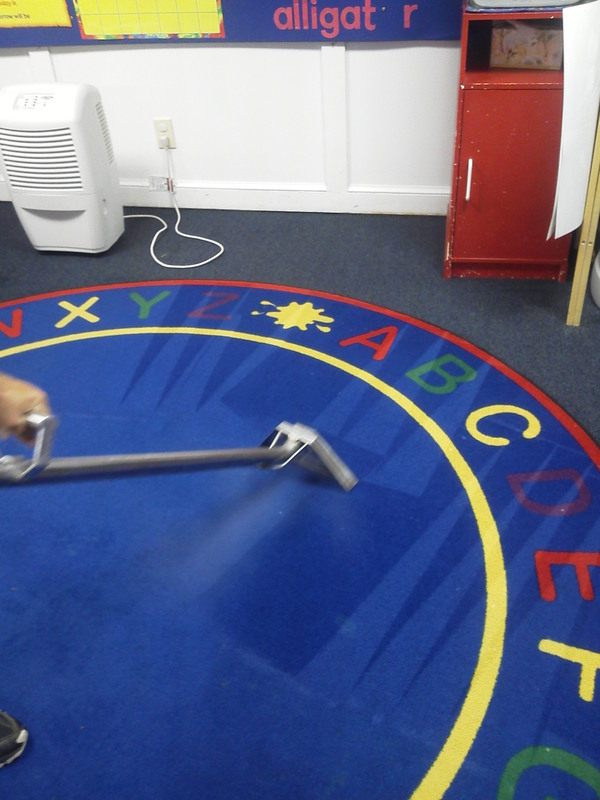 This rug belongs to one of our great customers, it is a local preschool here in Stafford, Virginia. It is important for daycares and schools to have their carpets cleaned on a regular basis to avoid the spread of germs. Again, this is where the heat comes in. 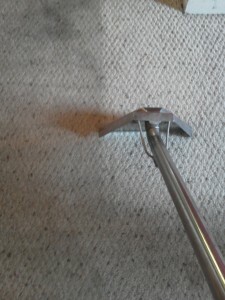 When you clean with steam you are enhilating the germs and bacteria that lurk deep down in the carpet fibers. Regular carpet cleaning is key for any carpet to keep it looking great for years. After the carpet has been cleaned we do recommend Scotchguard protection to help the carpets resist permanent damage from spills and soil. We also offer deodorizers and odor treatments for folks that may have pets. According to Shaw Industries you should have your carpets cleaned every 12-18 months, this will help keep the carpets looking new for many years and is actually part of the warranty requirements for the Stainmaster line. This last shot is of a berber carpet in a rental property down in Lake Land Or. Another fantastic customer that counts on us to restore their carpets in their many rental properties as the tenants come and go. We were successful in removing several stains and spots as well as greatly improving the appearance of a noticeable traffic lane. Thanks for reading, and be sure to visit us at Pristinepete.com to find out we can help you! This travertine kitchen floor in King George Virginia was heavily soiled from dogs and years of foot traffic. As you can see there was no problem getting this floor to look new again. Kitchen floor tile with white grout in Stafford Virginia, no problem for our advanced cleaning techniques. Unbelievable…. and that’s all I have to say about that. Just Remember, If it’s too good to be true ….it probably is. What is filtration soil? and what can be done about it? 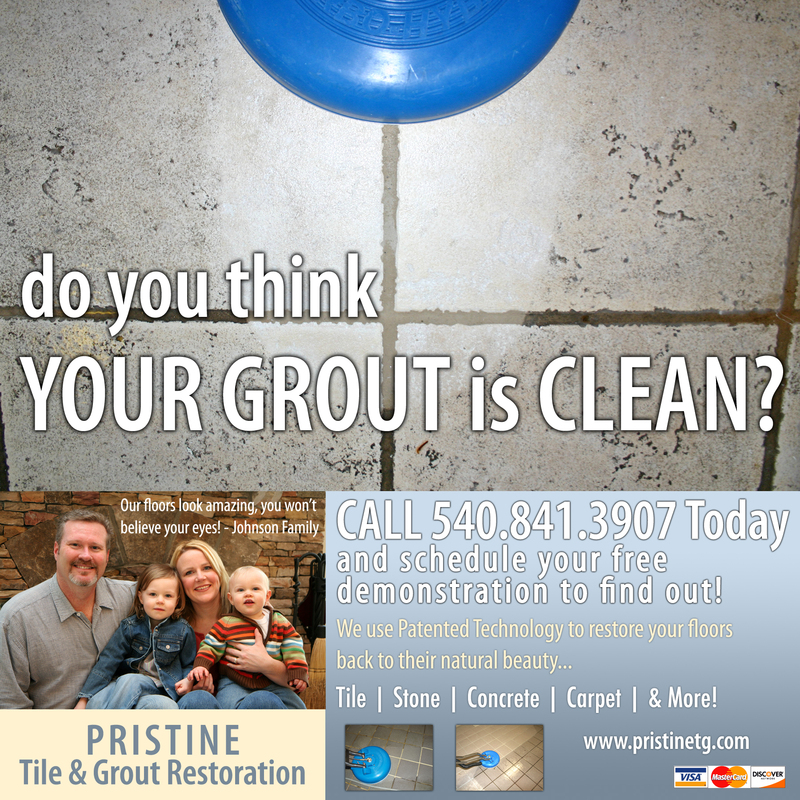 Should I seal my grout? Scotchguard the carpets?